Oil prices are showing some signs of life as key indicators start pointing in a bullish direction. One of the big indicators to watch that will determine which way oil prices are heading is the rate at which oil producers are storing oil. As U.S. shale production surged in recent years, and demand began to slow, oil was increasingly diverted into storage. The U.S. saw oil stockpiles explode to their highest level since at least World War II over the last six months. PIRA Energy Group, an energy research firm, is convinced that the oil markets have turned a corner. 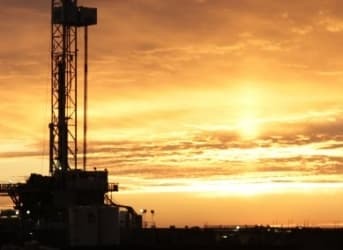 “PIRA believes that vast majority of the bearish news is already out and that the price lows for global crude oil markers are in,” the company wrote in its weekly energy recap. PIRA predicts that the oil stock build will peak in May and then start to decline somewhere between June and August. U.S. oil production is already showing signs of decline, demand is picking up, and even a flood of Saudi oil has been swallowed by markets. Oil prices have risen by nearly 30 percent since March, and have appeared to stabilize for the time being (WTI in the mid-$50s and Brent in the mid-$60s). “The magic of price is working to tighten oil markets and higher oil prices are in the offing,” PIRA concluded. Of course, there are countervailing data that push back the idea that oil prices will continue to rebound. There is a backlog of wells waiting to be completed – a “fracklog” – that will bring a rush of new production online when completed. WTI rising to $65 per barrel could result in an additional 500,000 barrels per day in production. Bloomberg Intelligence says that there are more than 4,700 wells awaiting completion. If and when they are brought online, WTI could drop once again. Then again, supply and demand fundamentals are obviously not the only determinants. Geopolitics has a way of upending any carefully crafted projection. Iran reportedly fired shots across the bow of a cargo ship near the Straits of Hormuz. One of the most critical waterways for oil trade in the world, the Straits of Hormuz is a mere 21 miles wide at its narrowest point. An estimated 17 million barrels flow through the narrow passage out of the Persian Gulf, or 30 percent of the global maritime oil trade. Iran seized a cargo ship that hailed from the Marshall Islands, and although fears subsided after it became apparent that it was not targeting a U.S. ship, the U.S. Navy did send a Destroyer to patrol the waters. The incident did not have a major effect on oil prices, but is illustrative of what a major market mover could look like. Geopolitical events can act with utter surprise that could take oil markets by hold at a moment’s notice. We had another “above ground” example in the past week. Striking workers at a key oil field in Libya shut down production. Although some Libyan fields have been hit by violence, the latest dispute was one over wages. The El Feel field, with a capacity of 140,000 barrels per day in production, was briefly shut down due to the strike, but has since restarted. Libya, though, is still only producing about 250,000 barrels per day, sharply lower than its 1.6 million-barrel-per-day potential. Oil prices have sort of plateaued after rising from their March lows. The path forward from here, though, is unclear, but the latest data points to a higher prices in the weeks and months ahead. The author would be more creditable if world oil supply, demand, storage are covered, not just U.S.
Oil goes up, demand goes down. Basic economics. High oil destroyed the world economy.